LET’S TWEET! / Send 21st Century Cure Committee Tweets NOW! The Energy and Commerce Committee (E&C) in the US House is crafting a bipartisan initiative for 21st Century Cures. This Act would radically change the way new medical treatments and devices are approved for patients for the better. This committee needs to know how important it is to include CGM coverage for Medicare and Medicaid. If your representative is a member of E&C, please send them a Tweet (or even a letter, call, or visit to the local office) to let them know that CGM should be covered. The conversation is currently only in Committee, so we want to focus on just the Committee members listed below. Send a Tweet by clicking “CGM in 21st Century Cures” after your representative member’s name. If you don’t know your Congress Member you can find your representative in Congress easily by clicking on this link and entering your zip code. Of course, writing your own Tweet is even better! If you craft one, include “CGM coverage in 21st Century Cures”. The Committee uses the tag #Path2Cures. 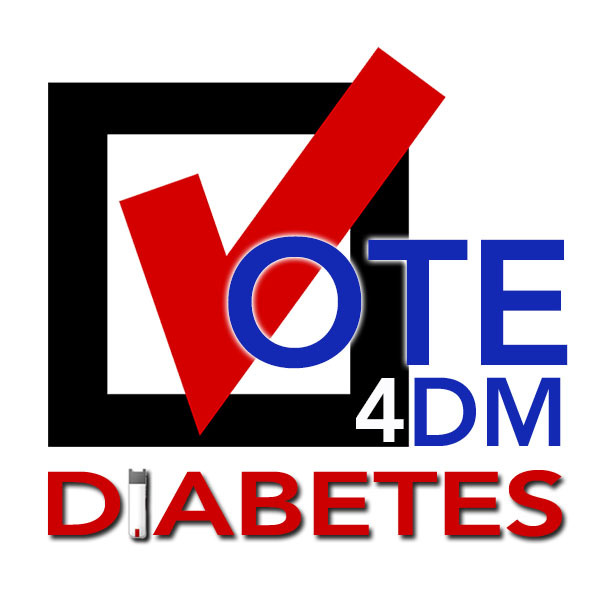 We use #Vote4DM track activity. Be creative! Thank you for taking time to tell our representatives how important diabetes is in your life. Please, after you Tweet to please share this page with everyone who has diabetes or cares about someone with diabetes.